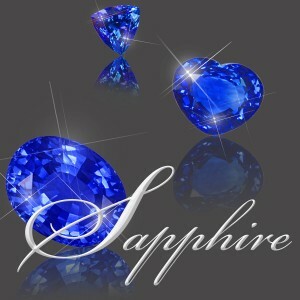 One by one, the world’s most renowned deposits of blue sapphire seem to run dry or simply not run at all. Kashmir, the supreme source for less than 50 years, has been a lost cause since the 1920s when production all but petered out. In Burma, now Myanmar, investment is non-existent and miners have focused their limited resources on the more plentiful ruby. In 1974, Cambodia’s famed Paillin region was decreed off-limits to gem mining and this border region remains troubled. About 10 years ago, Thailand’s Katchanaburi sapphire fields ceased to be worth the time and trouble to work. And more recently, miners have been asked to leave Madagascar, the most promising new source for fine sapphire. So when it comes to newly mined fine blue sapphire, Sri Lanka is now the standard bearer for this species. Sri Lanka is the original treasure island. Sapphires are still routinely found every time someone digs a basement or plows a field after a heavy rain. What makes Sri Lankan sapphire so desirable is that it has a color that tends to a light and bright blue rather than the oversaturated dark navy blue of volcanic deposits like Australia or Thailand. Of course, fine Sri Lankan sapphire also can display a rich vivid blue hue that can give Kashmir sapphire a run for its money. The reason why gemological laboratories are called upon to certify Kashmir origin is because some Sri Lankan sapphires are identical in color, with a sweetness to the hue that is not seen in sapphires from any other sources. But not all beautiful blue Sri Lankan sapphire came out of the ground looking like that. Sri Lankan sapphire, like Brazilian aquamarine, is a stone that is customarily heated to permanently improve color. Indeed, low temperature, charcoal-fire heat has been used for centuries in Sri Lanka to sharpen hue and spruce up appearance. But this method has limited application. It didn’t do much good for the vast number of the country’s milky, rutile-ridden stones. Sri Lanka’s production boomed when it was discovered that these milky white sapphires, known as geuda, contained all the raw ingredients in them for creating blue color, if only a way could be found to dissolve these ions into the crystal structure without melting the sapphire itself. 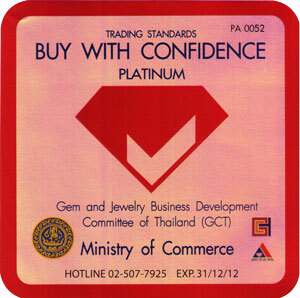 In the mid-1970s, gem dealers in Thailand began to experiment with high-heat kilns and later controlled-atmosphere furnaces to transform geuda into blue sapphire. Heat turned cloudy stones clear and induced deep blue colors. The influx couldn’t have come at a better time. As 1979s inflation drove up sapphire prices and Far East Asian political turbulence disrupted fresh supplies, Sri Lanka’s heatable sapphires became a godsend. But the flood of affordable and beautiful gems subsided as the stockpiles of formerly discarded rough was treated and marketed. Geuda rough began to command higher and higher prices. Today, with heat treatment an established part of the business, geuda sells at a price appropriate for its potential blue color, not its current colorless state. And with production now back to normal, Sri Lanka has returned to its role as the reliable slow but steady supplier of medium to fine material: the “Old Faithful” of blue sapphire.